RYU Ramen is not on the top 10 ramen spots in town according to Spot.ph, but in my opinion, for their quality of ramen and their price point, they should be in that list. One thing I liked about their Tantanmen is that the serving size is quite big compared to Nomama Artisanal Ramen’s Tantanmen. But comparing the two, Nomama‘s Tantanmen is the clear winner. However, one thing I disliked about RYU Ramen’s Tantanmen is the fact that the Aji Tamago drowned in the broth. I couldn’t see it, hence my phone’s camera couldn’t see it as well. I had to swirl the broth and rummage underneath the noodles. The presentation is a bit off. Also, the seaweed plastered on the walls of the bowl were drenched already, and almost slipping under the broth. My friend ordered the Tamanegi for our group to share. 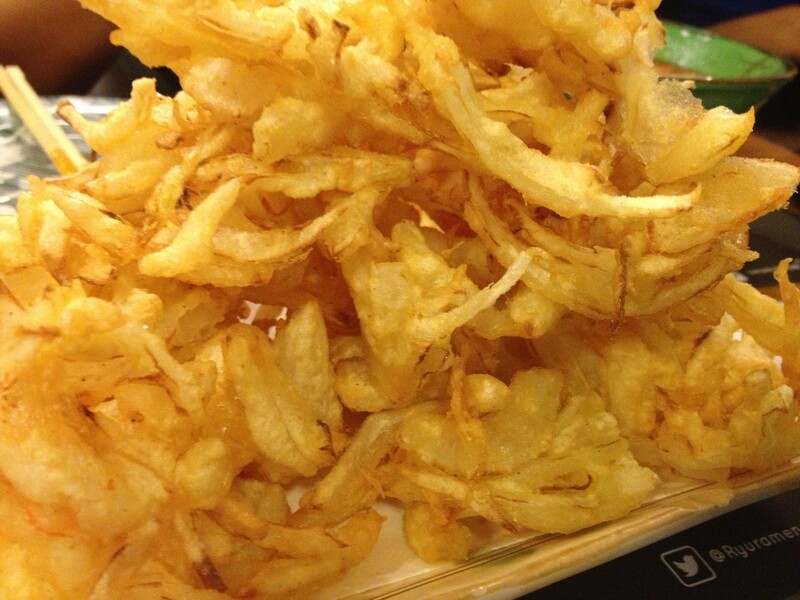 These are fried vegetable that have lessened the spiciness level of our Tantanmen and neutralized our palettes, thus making us crave for more ramen! Overall, serving size and price wise, RYU Ramen is a “dragon” that can compete in the ramen spots in town, hence the name “RYU”. (I bet you can now see how I much I love Ramen. 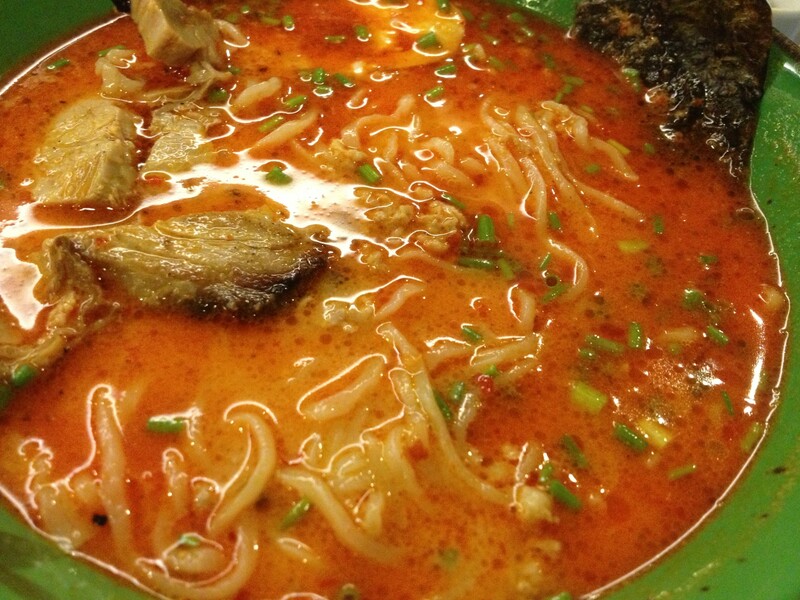 Check my Guide to Ramen Joints.